Stephan Gold: Truth is a luxury. Debt has always been something of a dirty word but hopefully the anxiety it inspires in people won’t keep them away from the new John Madden film, entitled THE DEBT. Those who do see it will be swept up in a whole other kind of restless stress, the kind only a good thriller can provide. Madden’s remake of the 2007 Israeli film tells the story of three young Mossad agents (Sam Worthington, Jessica Chastain and Martin Csokas) and their successful mission to hunt down and kill one of the worst Nazis to go missing after the war. 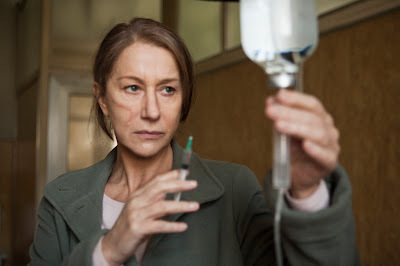 Many years later, Ciarin Hinds, Helen Mirren and Tom Wilkinson must cover up the lies surrounding that mission that they’ve been hiding ever since. Debt weighs you down and and the trio of combatants in THE DEBT know this all too well. Without revealing what they’re keeping secret, the secrets themselves have kept all three of them trapped in the 1960’s, when they successfully caught one of the most nefarious, infamous, and not to mention fictional, nazis ever to escape capture at the end of World War II. While they keep him under watch and await instructions as to what to do with him, things go awry. This is where the lying starts and the truth threatens to show it’s “ugly” head some 30 years later. The time passed has given the initial debt time to grow and now their lies echo around the world. While the global impact of the truth coming out would be monumental, Mirren, as Rachel Singer, is most worried her daughter will find out her mother has been lying to her for her entire life. Aside from the clear morality lesson at play, THE DEBT, does not spend a lot of time trying to make grand statements, political or otherwise. Instead, it focuses on maintaining suspense while exposing the humanity of what it means to lie about something on such an international scale. Sure, the players are only debating coming clean now that their cover could potentially be blown but that does not take away from the weight they have carried all these years. 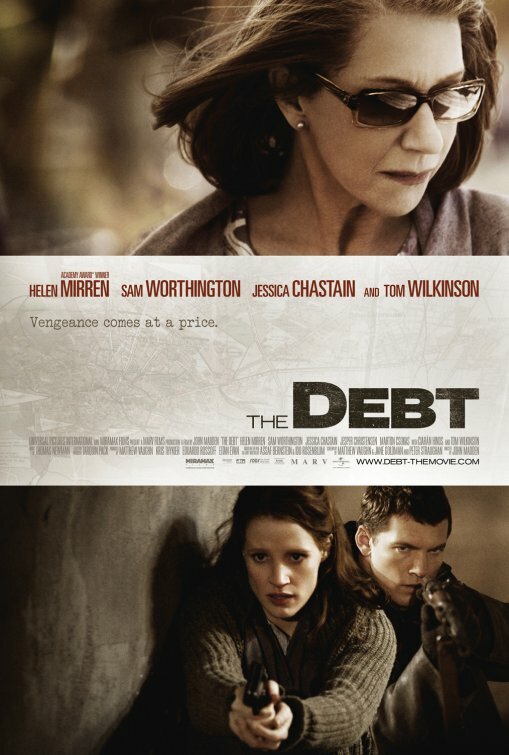 Their personal debts have taxed them all greatly and the performances, great across the board, including yet another mesmerizing turn from Chastain, are all heavy and harrowing. It is not about emotion for them but rather everything they do is for the mission. Fortunately, Madden accomplishes his mission with style and great tension, allowing for him to make good on this debt.